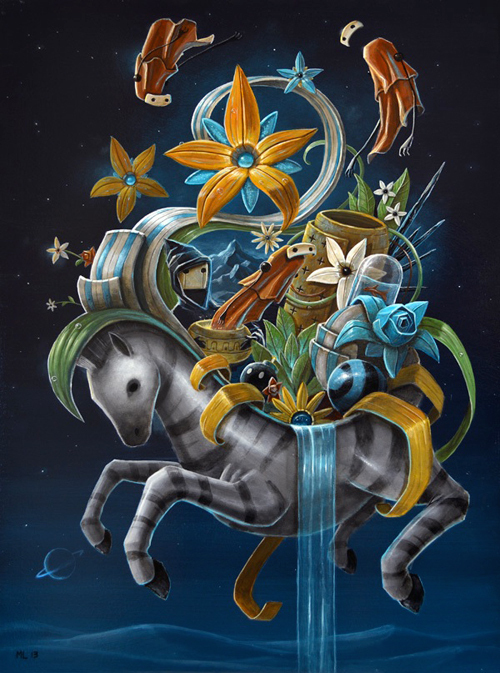 Originally from Southern California, Matt Linares is a pop surrealist artist currently residing in Portland, OR. Matt attended the Academy of Art in San Francisco before relocating to the Pacific Northwest with his wife in 2010. 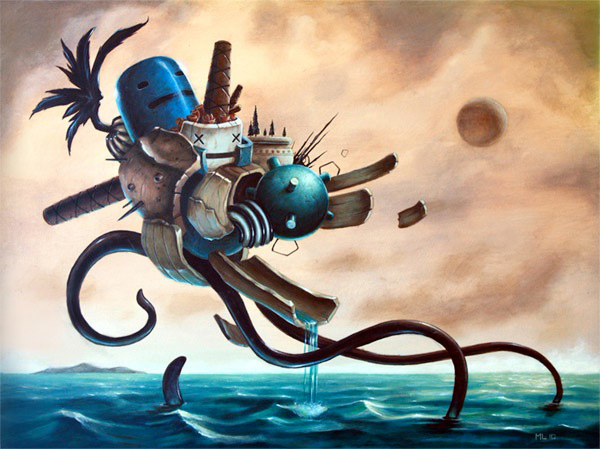 His acrylic paintings feature sci-fi/fantasy themes and express the inescapable bond between the organic and the mechanical. 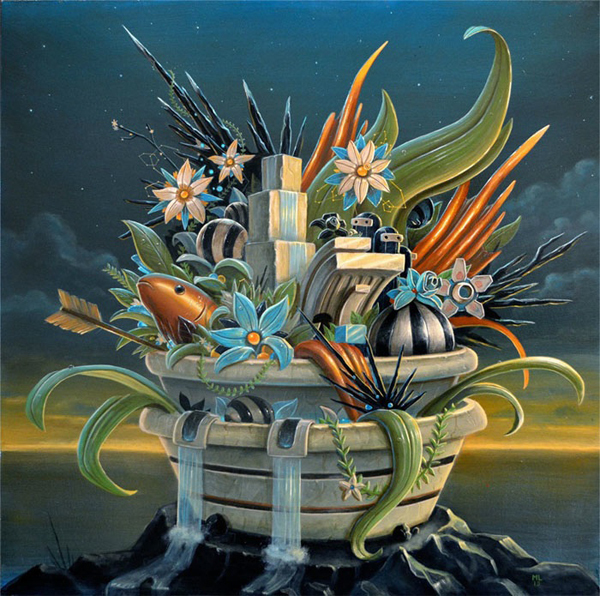 His depictions of artificial life forms and their exploration of their otherworldly landscapes are dream-like and fascinating. 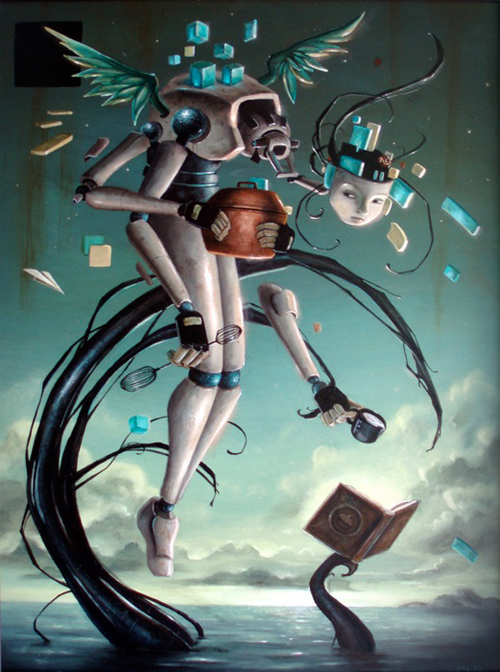 Matt’s work has been exhibited worldwide, featured on album covers and in publications internationally. 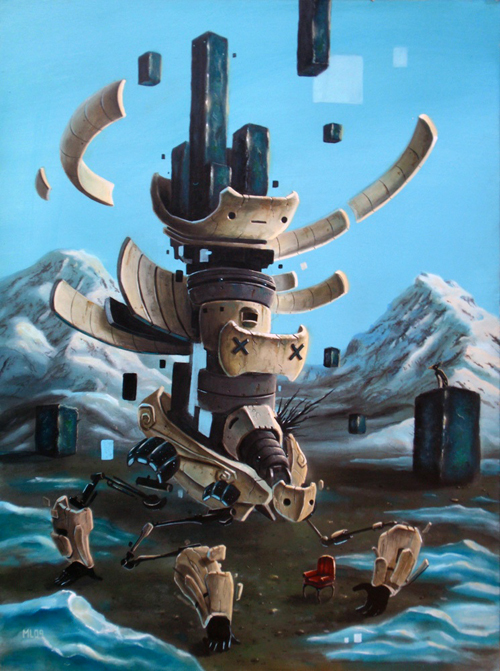 His works have affectionately been referred to as “Dali meets Star Wars”. They live with their two lovable pooches and a pair of sweet hens. May 6, 2011 | Filed under People and tagged with matt linares.